Yet, despite the increase, mission and development agencies are still struggling to reach the unreached with the gospel. - By applying principles of global leadership, mission and development agencies can move from being international organizations to global ones. - They will as a result better serve the unreached. 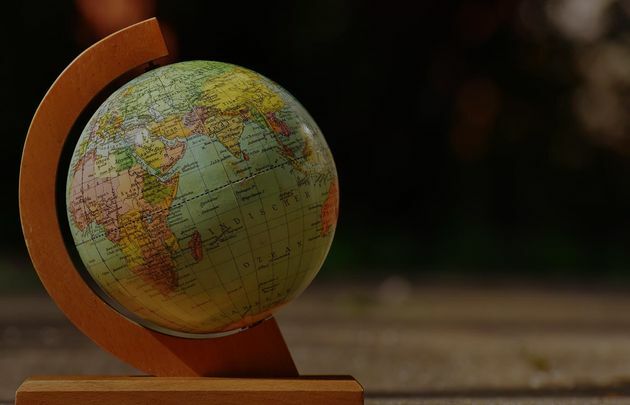 - Global: a connectedness and collaboration between multiple entities within an organization, across cultures and nations, to produce end products that serve local needs. - International: an arm or extension of a national company doing work in another country or countries. - Global leader: a lifelong learner who has a God-given capacity to influence a specific group of people towards God’s purposes across cultures and nations,while accomplishing personal and organizational objectives. - Global leadership: a dynamic and active process that leads people from multiple countries and cultures towards accomplishing the vision regardless of the multiplexities that are present. - Global organizations: operate in or serve multiple countries, often with a matrix structure where each subsidiary is deliberately sharing information and expertise with the others and headquarters, and learning from each other to best serve their constituents in each country. - Global mindset: what you know about other cultures/countries; your desire to learn more about them; and how you put your knowledge into action as you engage and interact with people from other cultures and countries. How do we know we have a problem? 1. The most eye-opening number is that, as of 2010, ‘Buddhists, Hindus andMuslims have relatively little contact with Christians. In each case, over 86% [sic] of these religionists globally do not personally know a Christian’.iii While mission and development agencies have worked hard, something is clearly off in our strategies to reach non-Christians, if religionists from these three groups do not know a Christian. The remaining three data points offer an explanation as to why this number is correct: the strategies of mission and development agencies match the results that are being seen. After absorbing these four data points, mission and development agencies need to be intentional in changing their approach to their work. The remainder of this article will examine whether operating like a global organization could help mission and development agencies better achieve their goals, and allow them to do a better job of reaching the unreached. 1. Global agencies do not drive their national agendas from headquarters, but from their national offices. 2. Strategy decisions that pertain to the national offices are determined by the national offices. 3. Global agencies share the funding responsibility between the national offices and the global headquarters. 4. Final staffing decisions are made by the national office, in conjunction with headquarters where appropriate. 5. National directors have access to the highest level of leadership of the organization. 6. Thorough training of national directors is a key part of the process. 7. Global agencies have proper systems in place for collaboration between national offices and headquarters. 8. They also have proper systems for collaboration between countries and within strategies across the organization, regardless of where anyone in the organization is located. 1. There are different ways to accomplish a mission. While there were similarities inhow some of the agencies functioned, and similar goals for their mission and vision, each was unique in how it sought to accomplish its mission. 2. The most satisfied leaders were those whose organizational structures and processes were people-driven and not structure-driven. 3. All organizations and leaders should seek to be globally sensitive as they move towards accomplishing their mission at every level of the organization. 4. Organizations and leaders who serve globally must be intentional about their training and leadership development, specifically in the area of training in a global mindset. 5. To become more global, ideas and practices need to be shared across borders. Constituents and leaders in the Global South must be heard as they are closest to the challenges of the unreached. 6. To become more global, organizations must learn how headquarters can share more power with the field. 7. In various interviews with the leaders of national offices, frustrations were evident when the board comprised primarily members of the founding country. As an organization grows from a national one to a global one, board members must reflect the diversity of the whole organization, and not just the founding country. 8. Intentional collaboration processes are vital to an organization’s ability to learn. 9. An intentional posture of learning is key for the success of any global organization or global leader. In many ways, this study continues and is unfinished business. The author is making changes in his own life and ministry to focus more on serving the unreached through the platform of education. 1. Each leader and organization should consider doing a brief self-study to determine if they are global or international. Depending on the result, they can then determine their next steps to move toward greater effectiveness in reaching the unreached. If organizations and leaders wish to be more intentional, what is one area they can move forward in to be more global? 2. Within every organization there are already useful strategies to consider in serving the unreached. Leaders and organizations could consider taking what is working well and growing their strengths. They could consider shifting their resources to take what they have learned to focus on the unreached. How can they empower themselves or those with a call to the unreached, even if they are not in their organization, to be equipped within a proven strategy for mission to the unreached? 3. How can each leader and organization commit to serving better within the global community of Christians for the sake of the gospel? In our time, there are so many divisions within the global family of Christ. What single step can each leader and organization take to learn more about a fellow member of the body of Christ? How might this better show the world Christ’s love? How might this further each leader and organization’s ability to serve the unreached? Though the data points shared above are limited to organizations in Rwanda, the author believes these can be applied to mission and development agencies worldwide. The author is looking to expand his data to include organizations serving among the unreached in order to better formulate his conclusions. That being said, the author believes that our strategies in mission and development clearly need to change since many current mission efforts are directed at the wrong targets. Based on his research, the author believes that the unevangelized are best served by organizations featuring global leadership. These organizations are more effective in representing the diversity of global Christianity and are more likely to encourage local contextualization of the gospel. While the author believes organizations that display global leadership principles will be better suited to serving the unreached with the Gospel, he invites readers to join a discussion to test the correlations that seem to exist. As a result of implementing some of the global leadership principles found above, may more Hindus, Muslims, Buddhists and other not-yet believers come to know Jesus through personal relationships with Christ-followers. Ben Thomas and his wife Susie lead the Kigali International Community School in Kigali, Rwanda. They are co-founders of B2theworld, an organization focused on blessing children, families, and communities in countries recovering from war through transformational educational institutions.In 2016 Ben completed his Doctor of Ministry in Global Christianity and Development from Gordon-Conwell Theological Seminary. This article originally appeared in the March 2018 issue of the Lausanne Global Analysis and is published here with permission as part of the LGA Media Partnership. Learn more about this flagship publication from the Lausanne Movement at www.lausanne.org/lga. i Todd M. Johnson and Kenneth R. Ross, Atlas of Global Christianity 1910 – 2010 (Edinburgh:Edinburgh University Press, 2009), 261.
ii Ernest Gundling, Terry Hogan, and Karen Cvitkovich, What is Global Leadership? : 10 Key Behaviors that Define Great Global Leaders (Boston: Nicholas Brealey Publishing, 2011), 79-80.
iii Johnson and Ross, Atlas of Global Christianity, 316.
ix Benjamin Thomas, Global Leadership: Helping Mission & Development Organizations and Leaders Navigate the Path From Being International to Being Global, Dissertation for Gordon-Conwell Theological Seminary, Hamilton, MA, 2016. YOUR ARE AT: Evangelical Focus - BLOGS - Lausanne Movement - How can we finally reach the unreached?